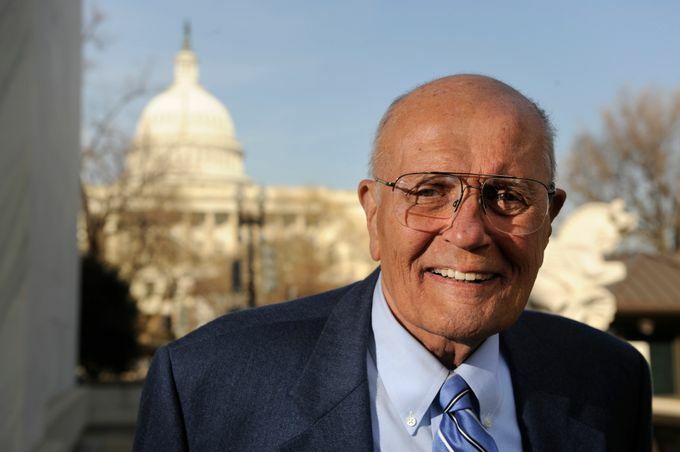 The National Association of Councils on Developmental Disabilities (NACDD) mourns the passing of former Representative John Dingell of Michigan. The longest serving United States Representative, Dingell was a vocal advocate and proponent of accessible and comprehensive health care. Dingell devoted his considerable legislative talents to promoting the passage of Medicare, Medicaid and the Affordable Care Act, all of which influence and aid the lives of people with disabilities. “We are grateful for the work of Rep. Dingell during his storied career on Capitol Hill. His work to ensure all people, including those with intellectual and developmental disabilities, had access to health care was tremendous and is certainly reflected in his legacy,” said Donna Meltzer, CEO of NACDD. “Among the vast array of historic legislative achievements, few hold greater meaning than his tireless commitment to the health of the American people,” said Nancy Pelosi, Speaker of the House. Dingell’s legacy continues through the work of his wife, Representative Debbie Dingell, who succeeded Dingell in office. She recently introduced the EMPOWER and Care Act, which reauthorizes and expands upon the Money Follows the Person Demonstration (MFP) which provides people with disabilities the opportunity and assistance needed to transition from institutions to their communities, where they can live fulfilling, independent lives.